Items for babies are so quick and easy to make. Which is fortunate because it seems like all my friends are having babies at the moment! I’ve been feeling nautical recently (as you’ll see again in another project soon). White and blue stripes just feel lovely and fresh after being huddled in dark colours all winter. The lace stitch on this hat is made using arcade stitch – it provides a lot of coverage (because it’s still pretty chilly) but is pretty too. 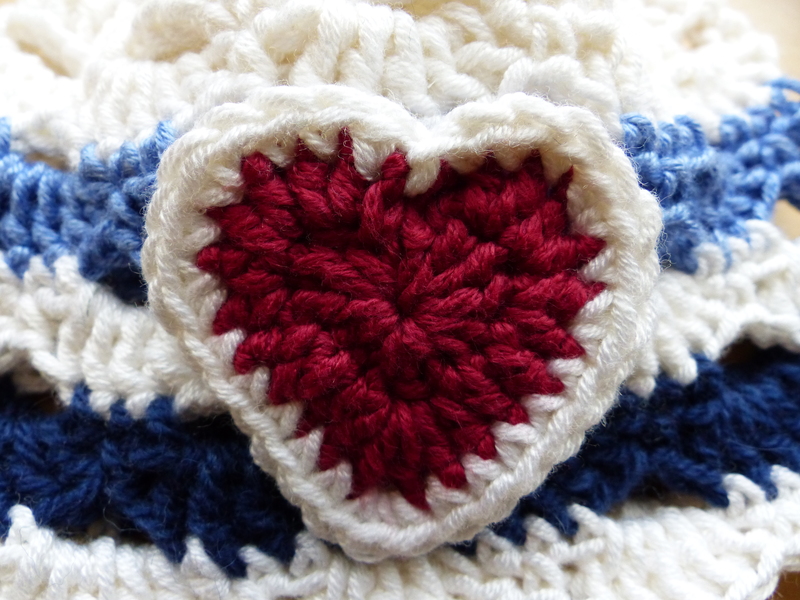 I’ve added a heart applique made using my love hearts pattern – two rows in pink and the third row is white. 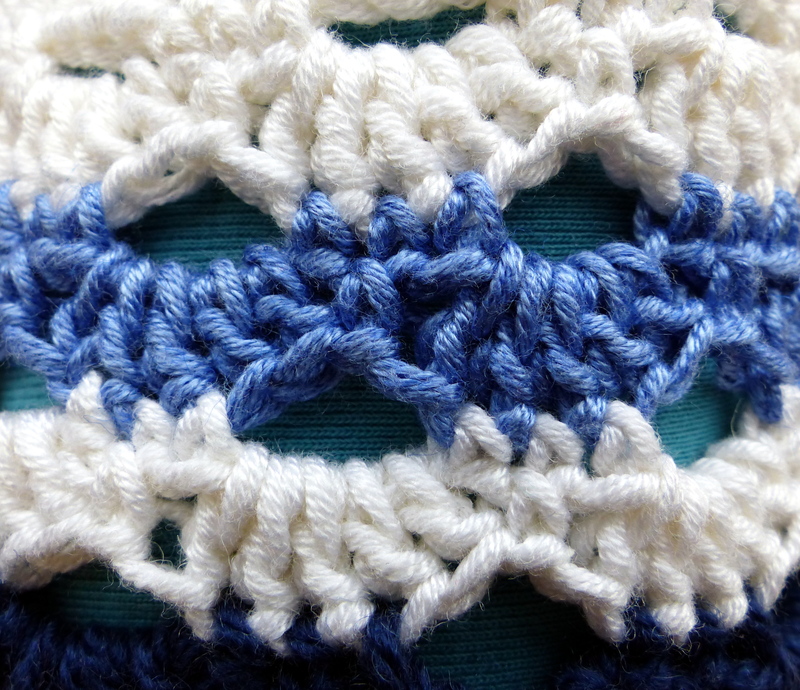 You can easily size this pattern up by increasing adding a few extra rounds of the crown – perfect if you wish to make it using a smaller hook and yarn or for an older child! Dk weight yarn in as many colours as you like, and a 4mm hook. 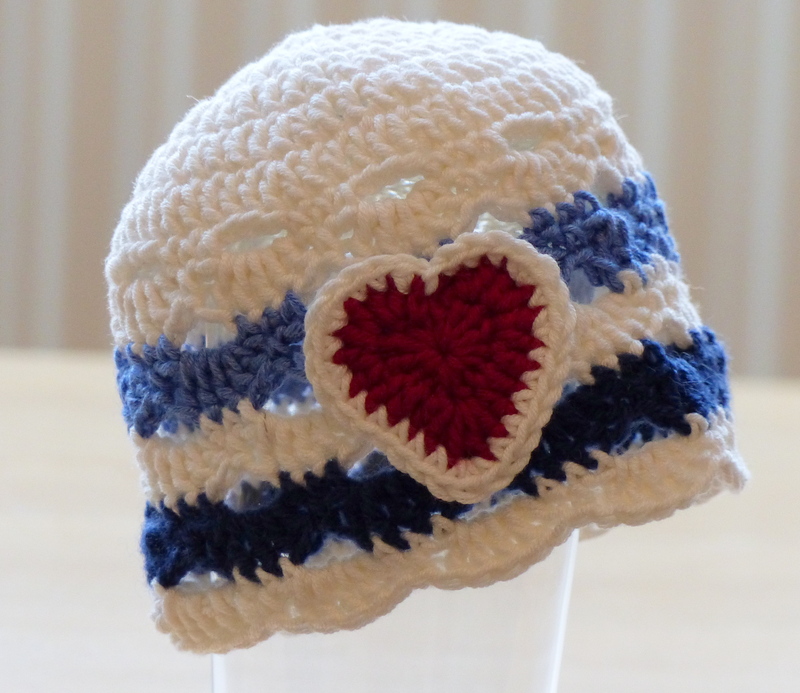 The pattern is for a newborn sized hat (15 inches circumference) – adjust as indicated for larger sizes. Begin with a magic ring (or ch4 and join to make a ring). Add another round (or two) continuing in increase pattern if you are making this for a baby (18.5 inches) or child (21inches). R8: ch1 (does not count as a stitch), sc in same st, *(5dc) in next ch sp, sk 1 st, sc, repeat from* around omitting final sc and joining to first st with a sl-st.
For stripes as pictured, change colour here. Join the yarn to the centre dc of a group of 5 and skip the sl-sts at the start of round 9. Continue to repeat rounds 9 and 10 until the hat is long enough, changing colours as desired. 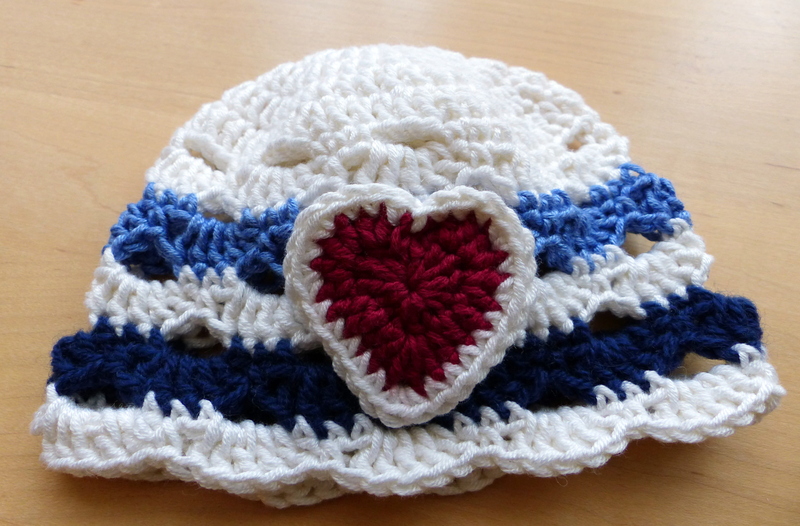 Make an applique heart, flower, or butterfly, and sew onto the hat. You are SO generous to share your wonderful patterns. I will be making a hat for a friend’s baby-to-be! Thanks!